The 4-3/4" × 6" template features various sizes of circles, squares, hexagons, arrows, and triangles. 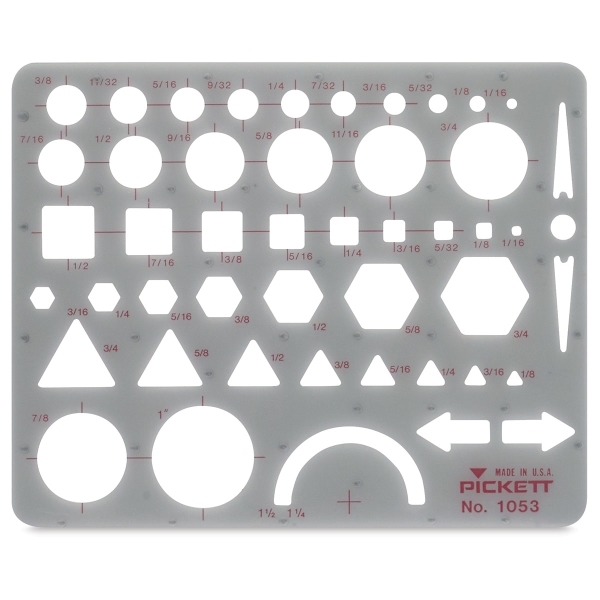 The circles range in size from 1/16" to 1" in diameter. ® Chartpak is a registered trademark.